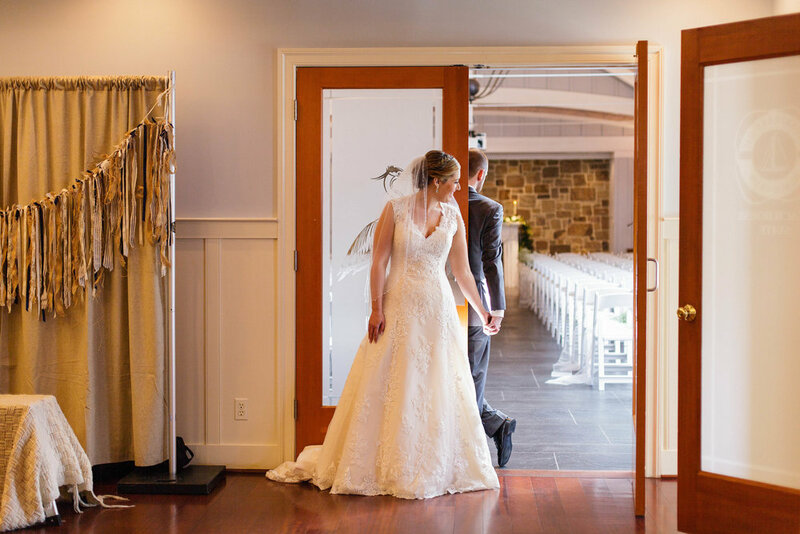 Lisa and Alan's magical story starts at the most magical place on earth: Disney! In the early morning of their visit to the famed magic castle, Alan got down on one knee and asked Lisa to marry him. Spoiler: she said yes! Flash forward a few months, and I had the pleasure of meeting them for the first time. 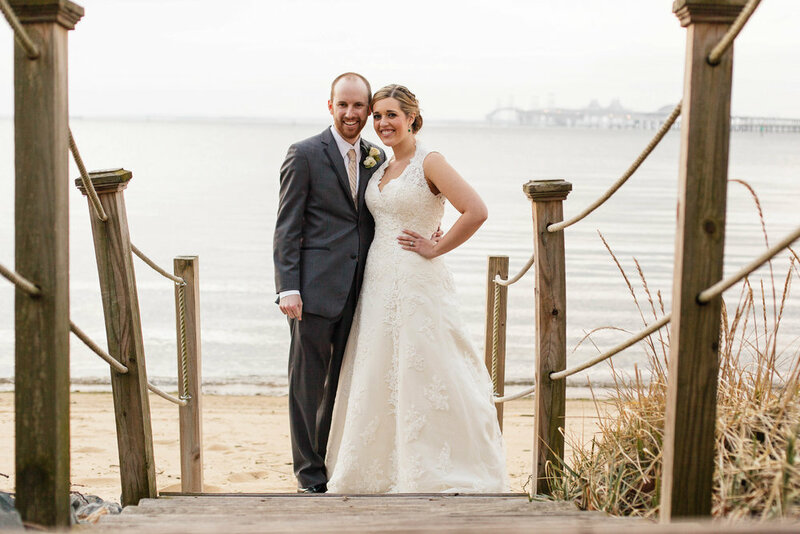 They had already settled on their venue, the beautiful Chesapeake Bay Beach Club. It's situated right on the water, overlooking the Bay Bridge. 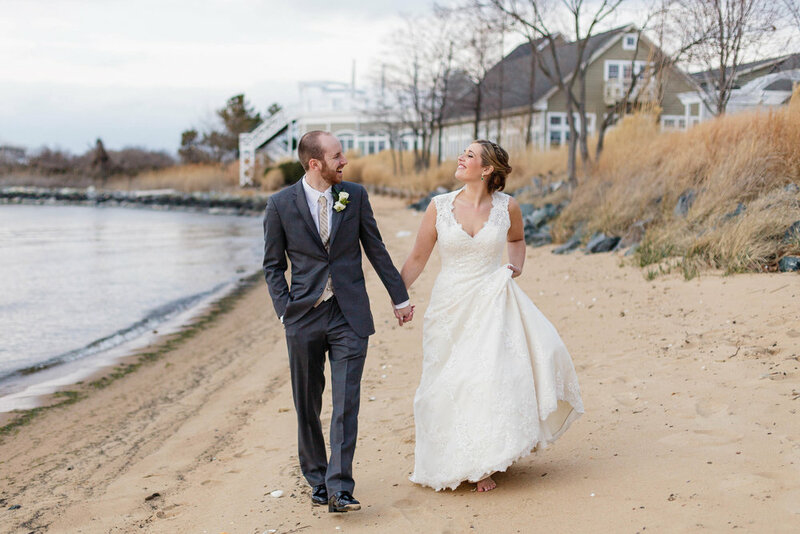 In their Save-the-Date we used a wood-board background to subtly introduce their guests to their beach location. The strong punch of color was a bold way to set the tone. The rest of their suite was a modern take on a formal approach. 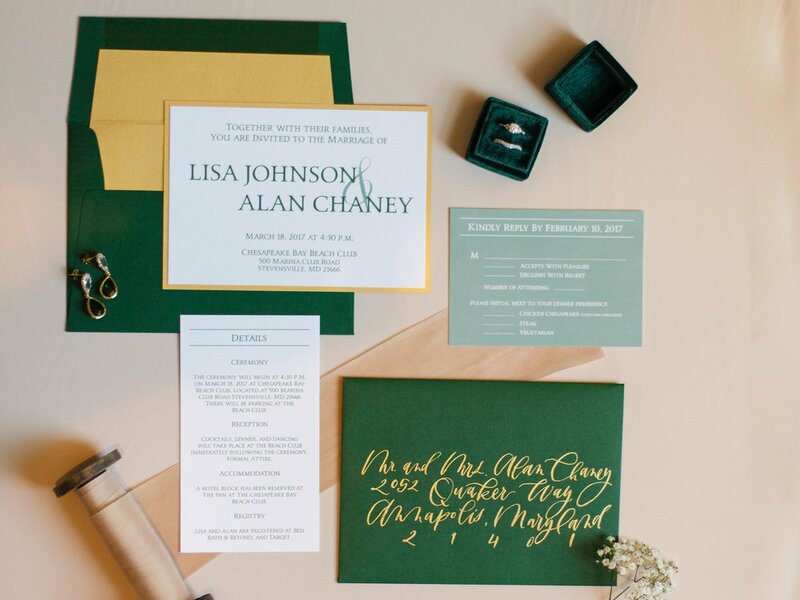 The landscaped invitation set on a gold mat was a fun twist on a classic look. 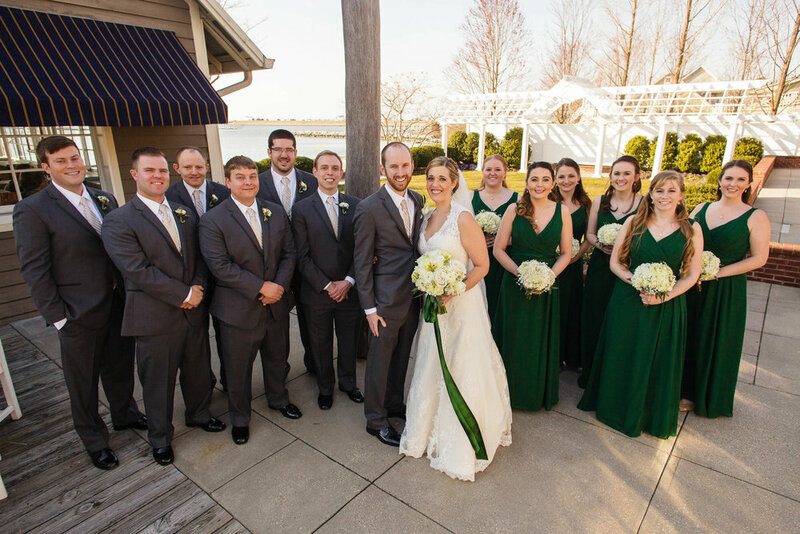 The green carried throughout their suite-more subtly on the invitations-but the bright green or gold envelopes made a strong announcement when they arrived in the guests mailboxes.